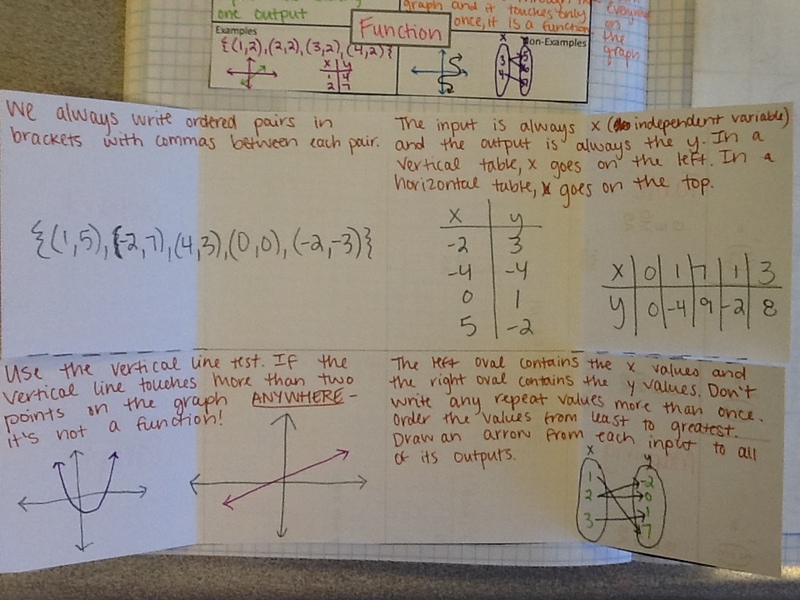 Unit 3 was and introduction to functions and I’m pretty sure I’ve already mentioned this but this was my students’ best unit yet. They rocked (the majority of) it. 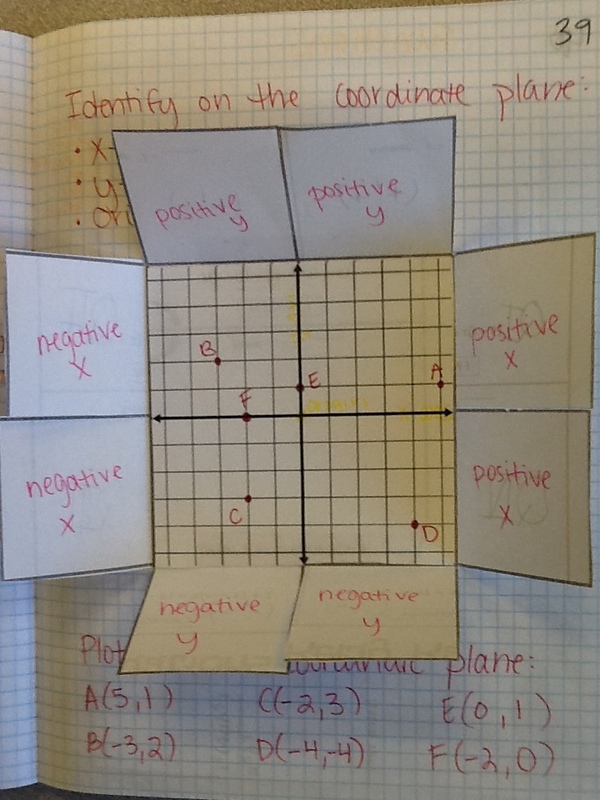 The first day of the unit was a review of the coordinate plane and plotting points. 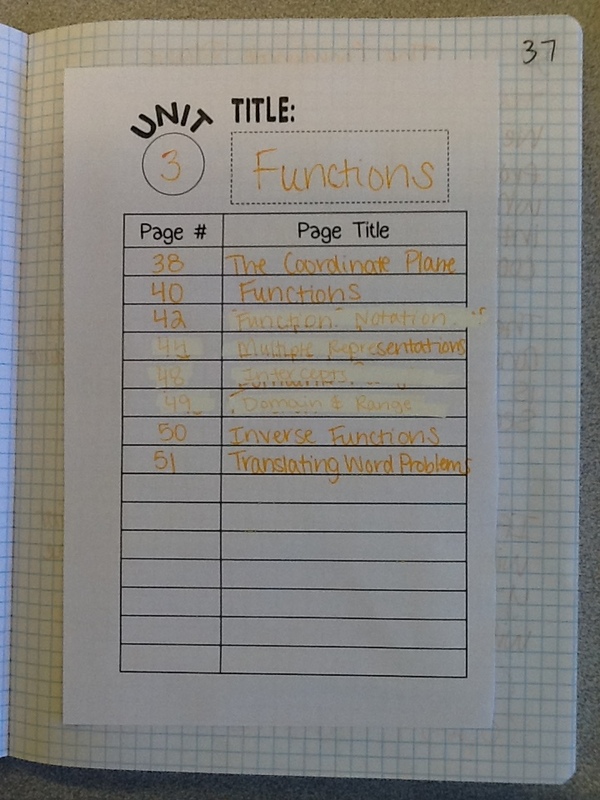 After completing the notes in the interactive notebook, students graphed “October” themed images and colored them. 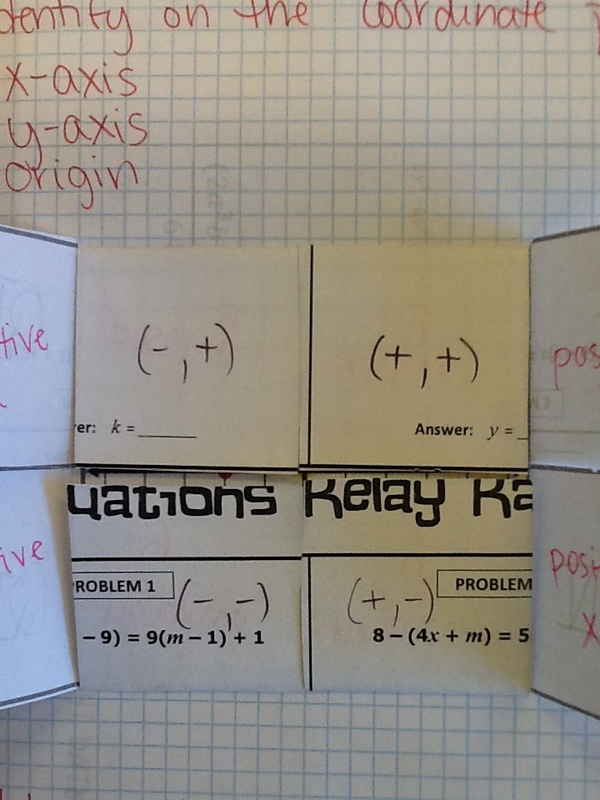 Before passing out the directions for the images, I had students put their heads down and hold up 1, 2, or 3 fingers based on how good they felt about graphing (1 meaning they still needed a teacher’s help and 3 meaning they could do it totally on their own). Students who put up 1 finger got the image that required the fewest number of points, and the students that held up 3 fingers got a really challenging Jack-O-Lantern to graph! Some of them complained about how long it was taking them but they still mostly got finished. The ones that got turned in decorated the walls throughout the month (and of course I just took these down and recycled them this morning without any pictures). 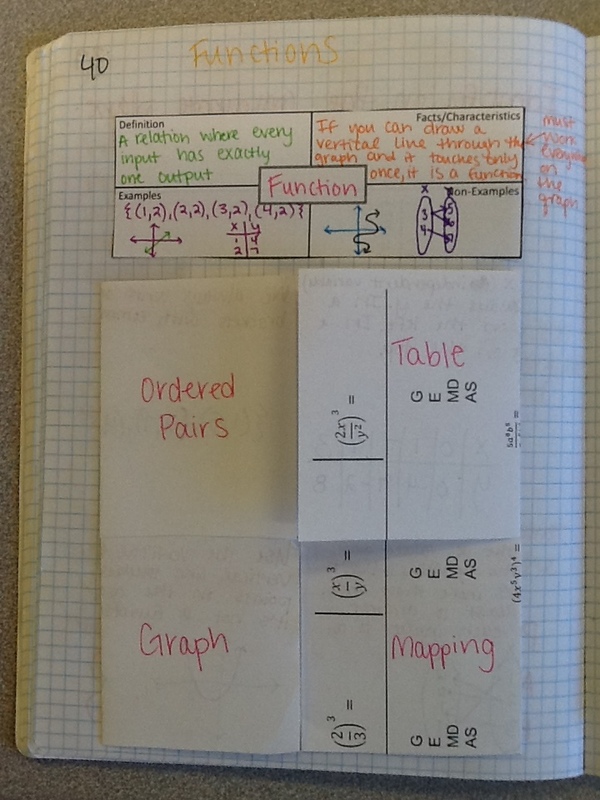 The next week was all focused on what it meant to be a function and the multiple representations of functions. We didn’t really discuss the idea of being a relation at all and I still don’t know if that’s a good thing or a bad thing. The students simply recognize relations as either “function” or “not a function”. 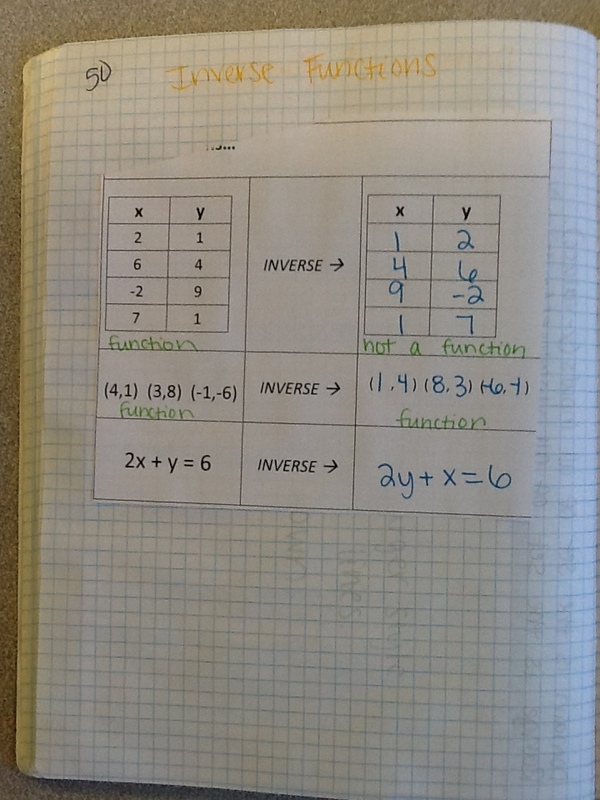 We discussed what it meant to be a function and what the multiple representations looked like, then I passed out the worksheet. 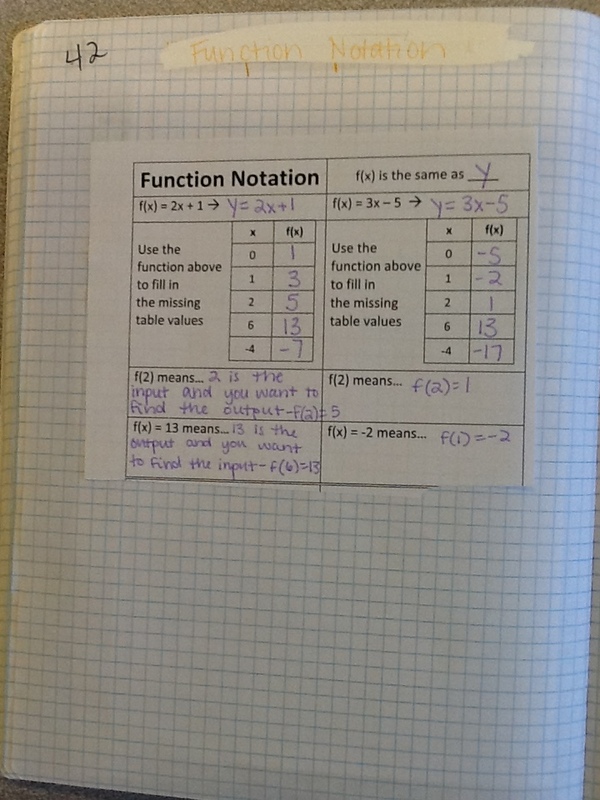 Instead of doing a card sort like last year, we decided to keep it all on one page and have students simply check or highlight the relations that were functions. 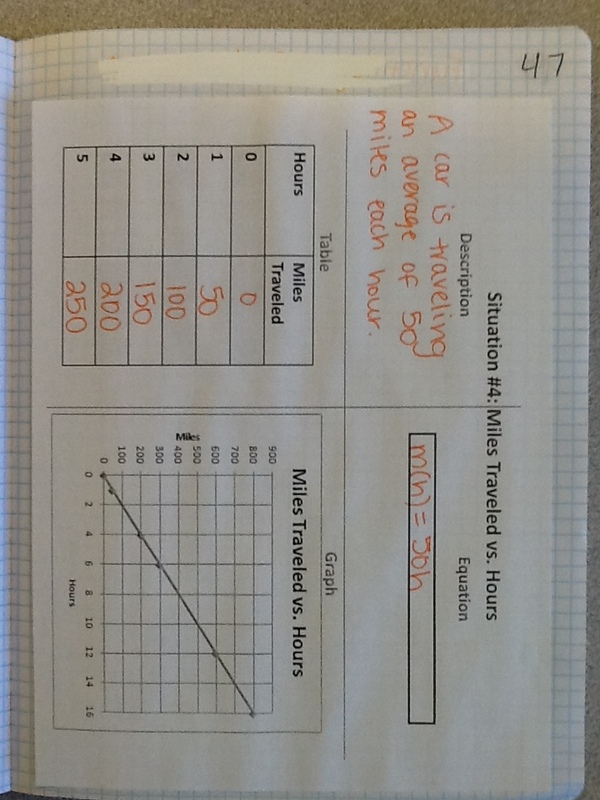 I gave the students about 5 minutes to work on this independently, and then another 5 minutes to discuss/argue with their group members. Then I called on different students to tell me what they chose and we wrote that on the screen. After we had all of the students’ answers on the screen, I gave students a chance to argue against any of the answers up there. They were able to identify many of the relations correctly! 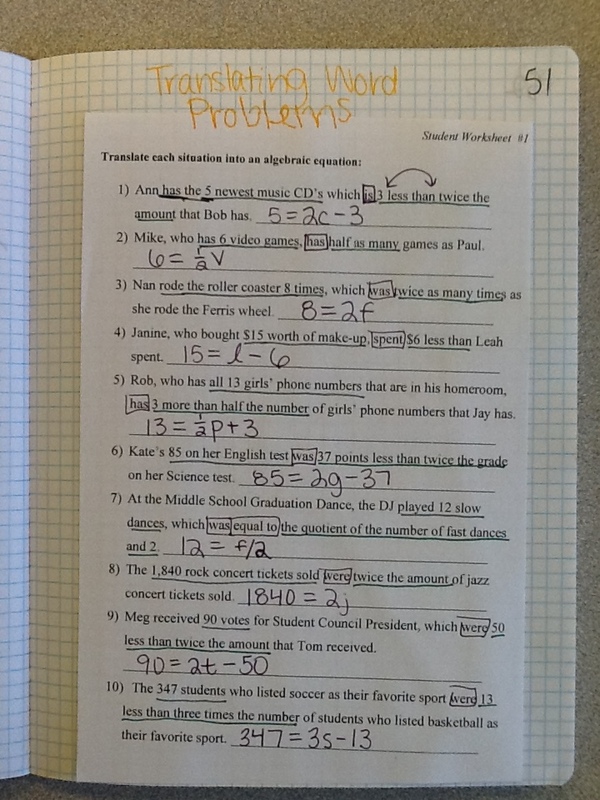 The ones they struggled with the most were the word problems and non-linear equations, which makes total sense. If you see a number where the x belongs, then you put it everywhere you see the x. If there’s no equals sign, you substitute the value in and simplify. If there is an equals sign, you have to set up and solve an equation. Whatever is inside of the parentheses is the input. Whatever is outside of the parentheses is the output. 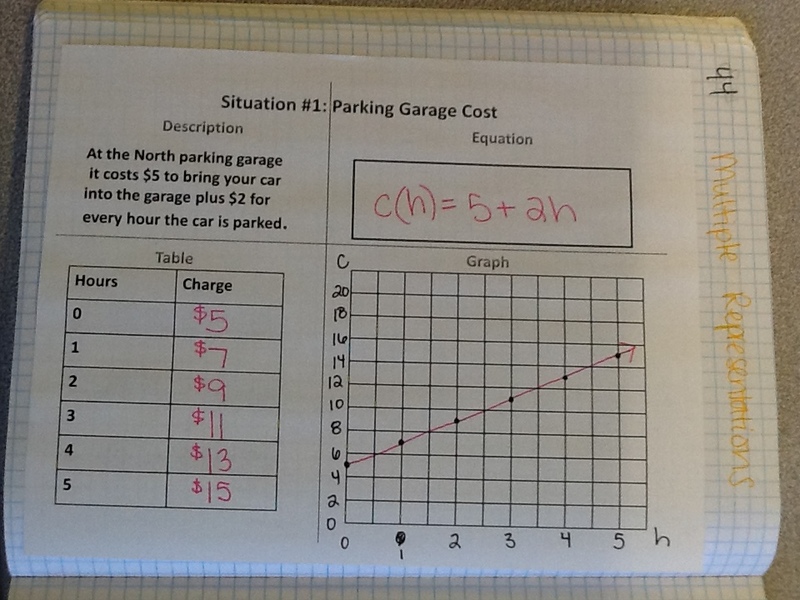 Some of these worked for some students, but again there are still quite a few struggling with this idea. 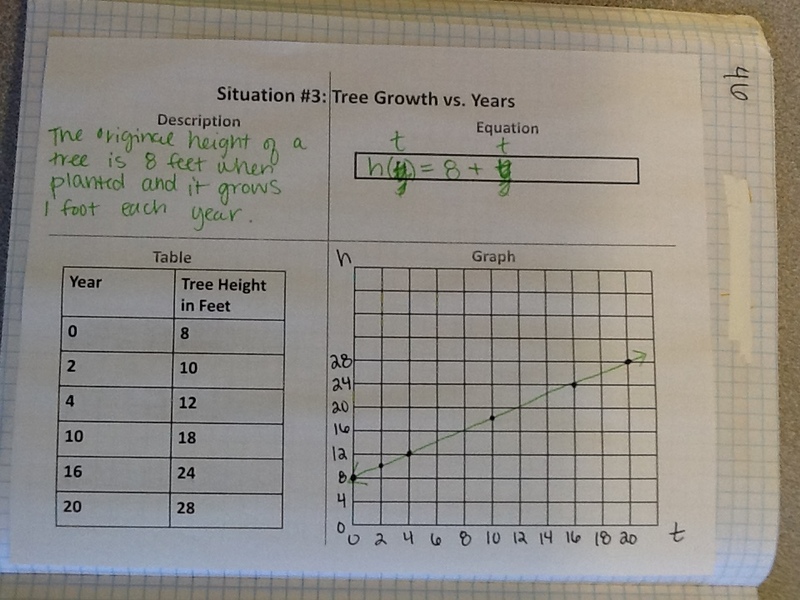 The next three days were spent creating and comparing multiple representations. 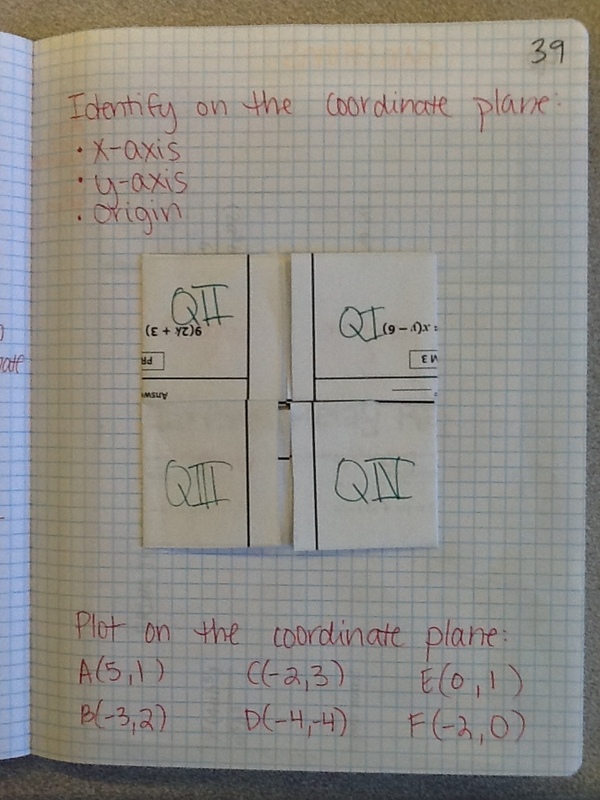 There were four examples in the notebook where they were given a verbal representation, equation, table, and graph, respectively, and expected to come up with the other three representations based on that. The one they struggled the most with was verbal! 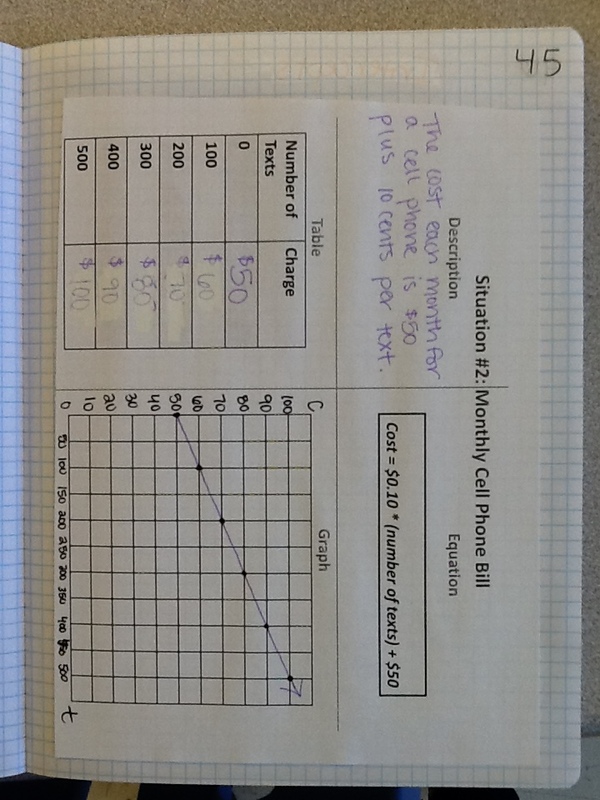 Last year’s students struggled to identify patterns and create equations, but this year there was difficulty in being precise enough with their language to correctly describe the situation. 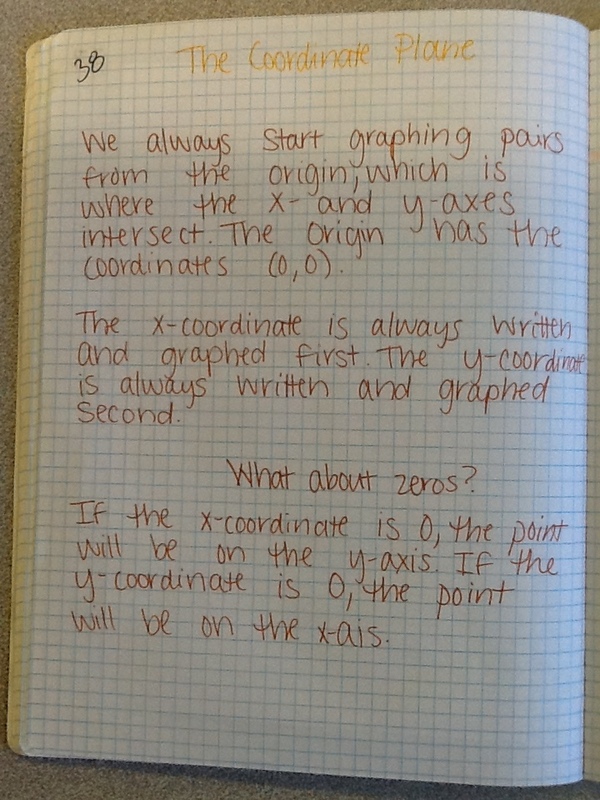 The next week of this unit focused on x- and y-intercepts and domain and range. 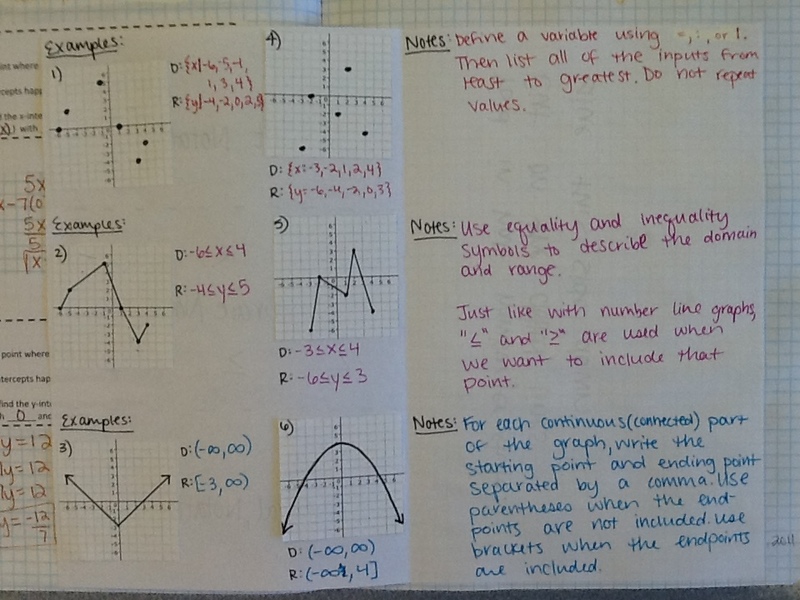 I just discovered this awesome lesson idea for domain and range AFTER I taught it, of course (found it on this awesome resource) but overall I think that domain and range went really well. 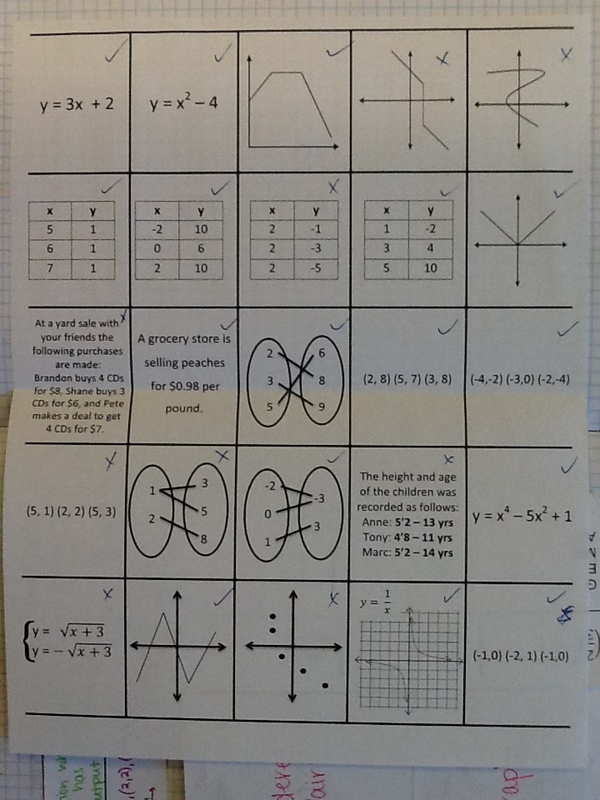 The students understand the concept behind each, but some are still struggling with algebraically finding x- and y-intercepts and when to use set vs. algebraic notation when describing domain and range. 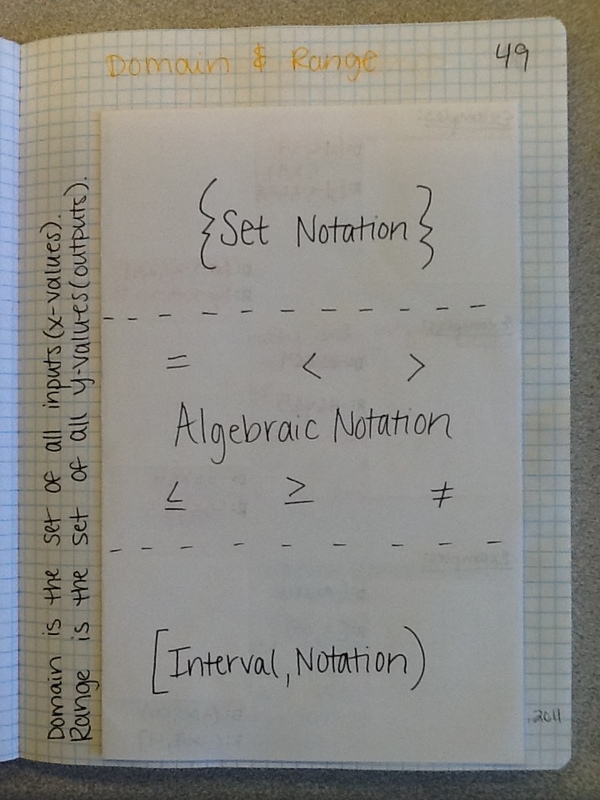 I think the domain and range is partially due to the fact that I got called out midway through lessons two days in a row during this week of instruction… Also, interval notation is an Algebra 2 standard in Virginia, but the other Algebra 1 teachers and myself decided we would at least show it to our students. The last day of instruction was spent discussing inverse functions and translating word problems into equations and solving them. We had two half days during this unit otherwise I would have found some sort of fun game or two to play! Students then had three days in class to complete a project either with a partner or on their own. It wasn’t the most fun of projects, but it gave them a little independence and required them to use their knowledge and skills to create multiple representations and answer questions about each scenario. If anyone has a really good functions project, let me know and I’ll use it in place of this one next year!